Give OUT Day is Next Tuesday, August 2nd! On August 2, people around the country will come together to raise critically needed funds for LGBTQ communities. Give OUT Day is a national day of giving for the LGBTQ community—a 24-hour online fundraising event. These funds translate directly into services, advocacy, and programs that help tens of thousands of LGBTQ people. Now more than ever, the importance of NQAPIA’s work is crystal clear. Our community was rocked by the tragedy in Orlando, which was motivated by hate toward LGBTQ people. When reports emerged that the shooter, an Afghani-American, may have been gay himself, we could not help thinking about how desperately he and his family may have needed to know there is a whole community of people with similar backgrounds who love and accept LGBTQ people. It brought home how critical our work really is. 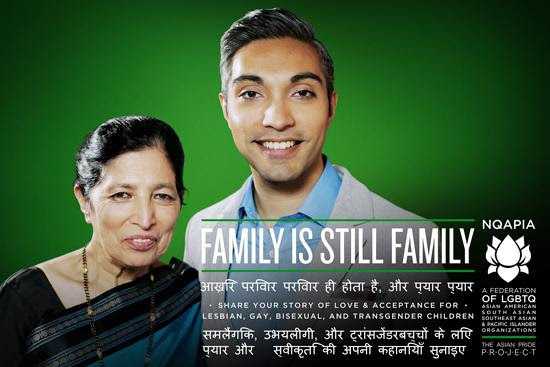 This summer, our family acceptance public service announcements reached over 200 million people. These PSAs, created by the Asian Pride Project, aired in several languages in mainstream, LGBTQ, and ethnic media. This groundbreaking campaign is just getting started, and we hope to expand our reach to more and more people who need to hear the message that LGBTQ children in our communities are loved. On August 2, we hope you will consider investing in Asian, South Asian, Southeast Asian, and Pacific Islander LGBTQ people and our families. We hope you will Give OUT and help us continue to send our message of love to people who need to hear it. https://www.nqapia.org/wpp/wp-content/uploads/2016/07/giveOUTday-square.png 150 150 NQAPIA https://www.nqapia.org/wpp/wp-content/uploads/2016/06/Logo_NQAPIA_and_Tagline_Web-Ver2.jpg NQAPIA2016-07-29 18:18:472016-09-14 19:27:56Give OUT Day is Next Tuesday, August 2nd!